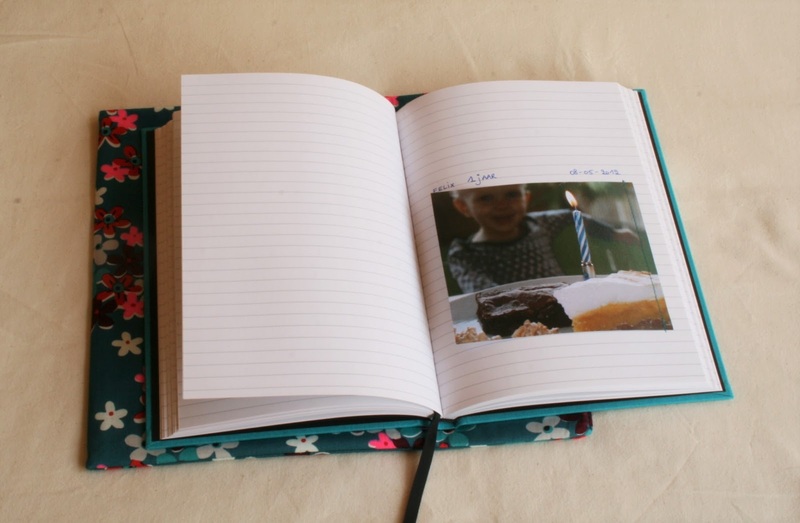 Four years ago, he blew out 1 candle. 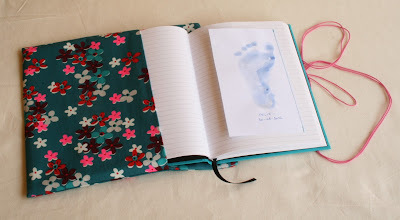 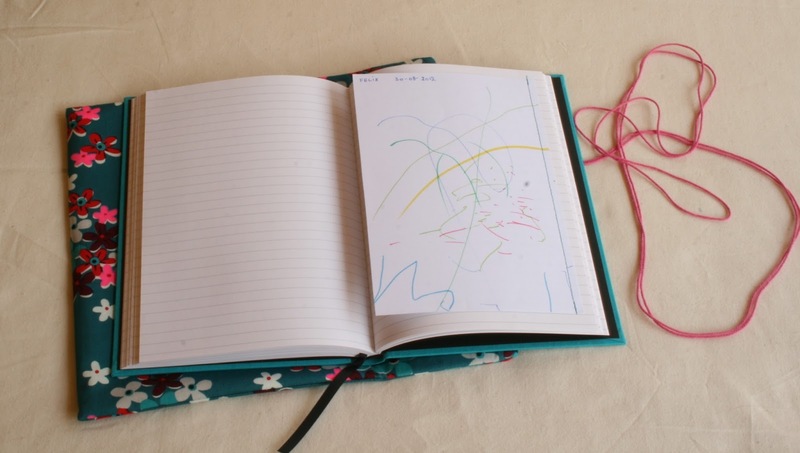 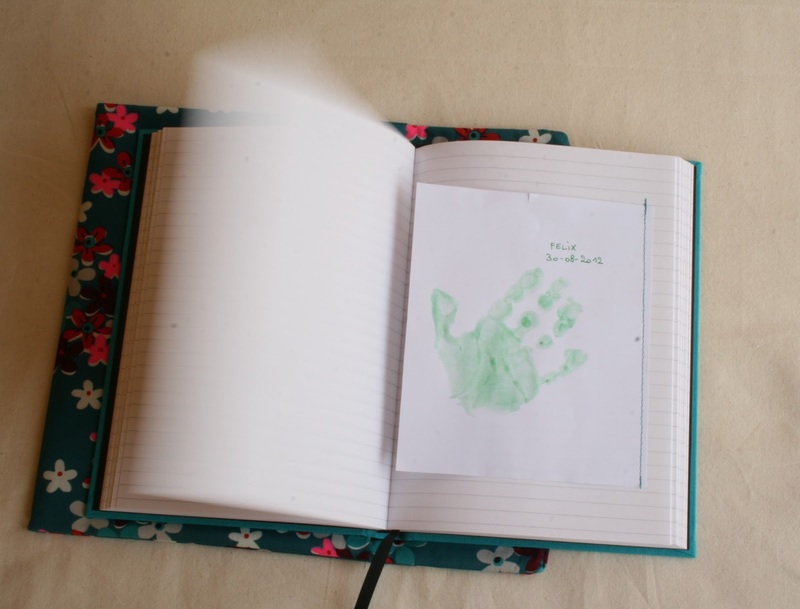 Therefore his godmother received a notebook, decorated with a handprint, a footprint, some scribbles, a picture,... 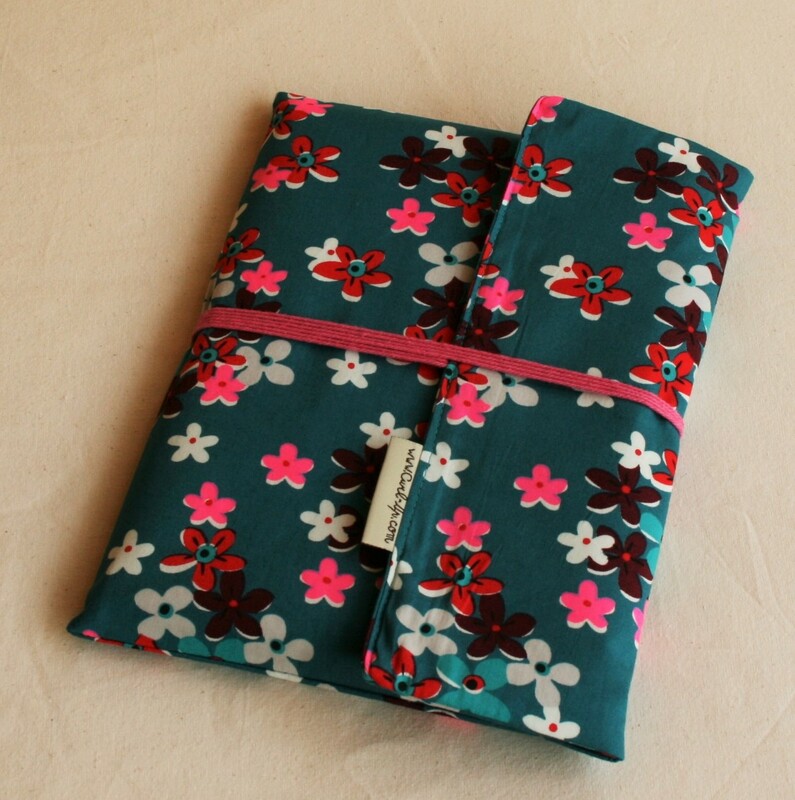 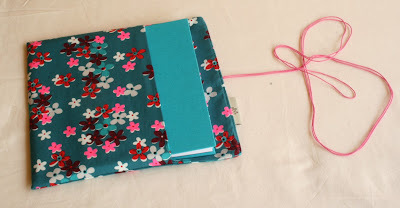 The notebook was wrapped in a fabric cover.